If you’re looking for the best way to open a chiropractic care clinic that involves as few hurdles as possible, a franchise opportunity with Flex Chiropractic is just what you’re looking for! Why Go With A Franchise? 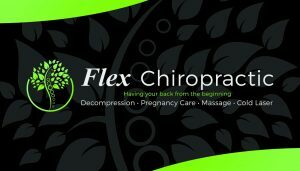 Flex Chiropractic is well-known in both Columbia and Lexington and will soon be known throughout South Carolina (and, we think, far beyond). Being part of a franchise suggests to potential clients that they’ll receive the same high-level of care between franchise locations. Brand recognition brings in more clients that might otherwise avoid an unknown entity. While you might dream of having your name on the sign, such businesses seldom see as much growth as one that has a recognizable, catchy name (like Flex!). We’ve done a lot of the legwork when it comes to starting a chiropractic clinic and can pass that knowledge on to you. We can help you avoid common mistakes that new chiropractic offices make, mistakes that cause them to fail. We can advise you on the best business practices to adhere to, including hiring practices so that you can find the best support staff. New Chiropractors – New chiropractors who are just out of school might be intimidated by opening a business, and that’s why going with a franchise makes the process so much easier. Being part of a franchise can bring in clients that wouldn’t normally go to an unknown chiropractic office. Existing Chiropractors – There comes a time in most businesses when they hit a wall and can’t grow any more. Chiropractors who have hit this wall might want to rebrand their business and draw in customers that recognize the name of a franchise in the area.